This noodle strap outfit features a delicate cowl neck pattern making the wearer look elegant and exotic. 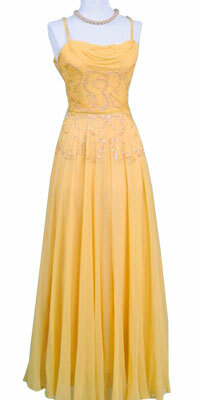 The elegant embroidery on the dress which is sprayed with sparkling sequins is an eye catchy feature. 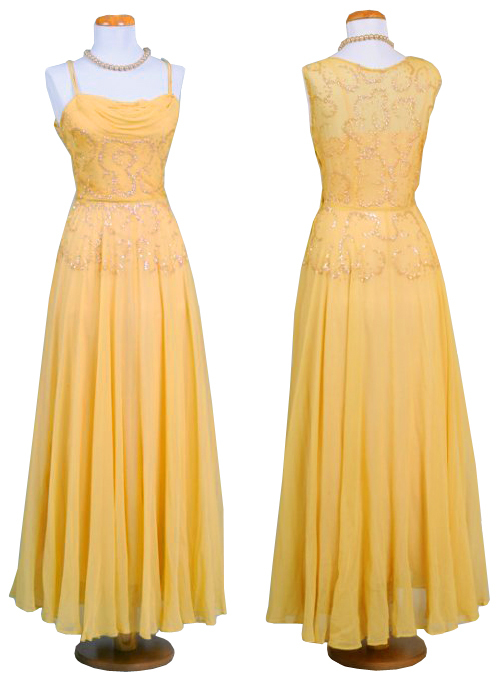 The ball gown pattern with a cinched waist will get you maximum attention.